To celebrate an excellent year in books, Off the Beaten Path teamed up with the extraordinarily well-read staff at Bud Werner Memorial Library to create the ultimate list of staff favorites. We promise there's something for everyone on this list: from the uncle who's already read every thriller by the time you buy it for him, to the voracious elementary school kid who reads way above their level, if you don't see it on this list of favorites, come into Off the Beaten Path, and we'll help steer you in the right direction. 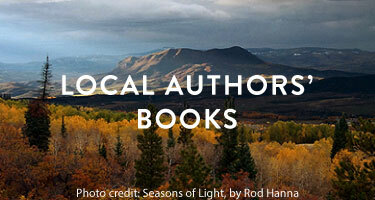 In the meantime, these are the best books of 2018, thanks to all the book-lovers of Steamboat Springs!